Judging by the way most Bulgarians are known to drive, you may be forgiven for being a little cautious before hitting the slopes for the very first time in Bulgaria. However whilst it is true to say that general disregard for the rules is commonly experienced on the roads, skiing in Bulgaria is nowhere near as hazardous or nerve-racking as the driving. Evidence over the years has shown that is not necessarily the locals, most of whom are good skiers even if a little reckless, that cause the biggest danger on the slopes. 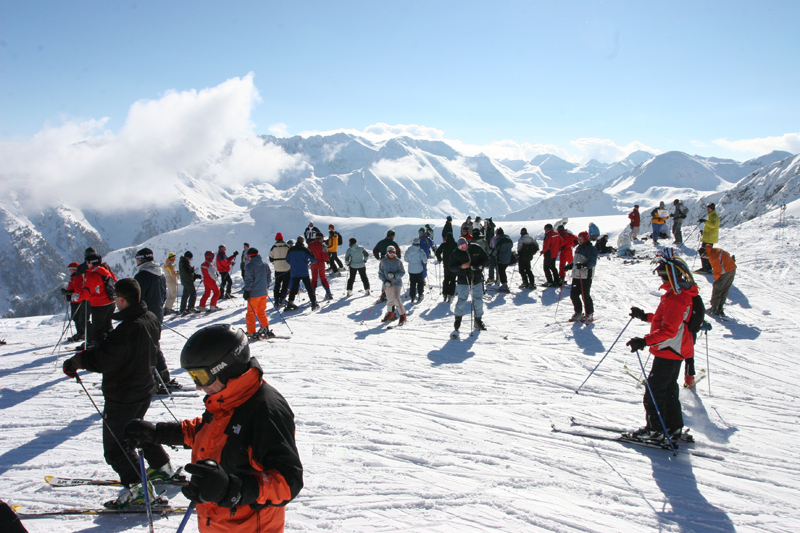 It is commonly known that every skier and snowboarder should follow the International (FIS) code of conduct for skiers; however it seems that very few people are aware of these guidelines. Try skiing in America where they have patrols, who reinforce the rules and will even throw you off a run if they think you are not good enough to be skiing on it. In Europe we rely on the understanding that these guidelines are there for the safety of all skiers, including you. Some of the simplest rules like "not skiing alone" or "not skiing off-piste" are ignored time and time again putting the offenders own life in danger. All skiers should ski within their ability and with full awareness of those downhill from them, in no way endangering them or restricting their manoeuvres. 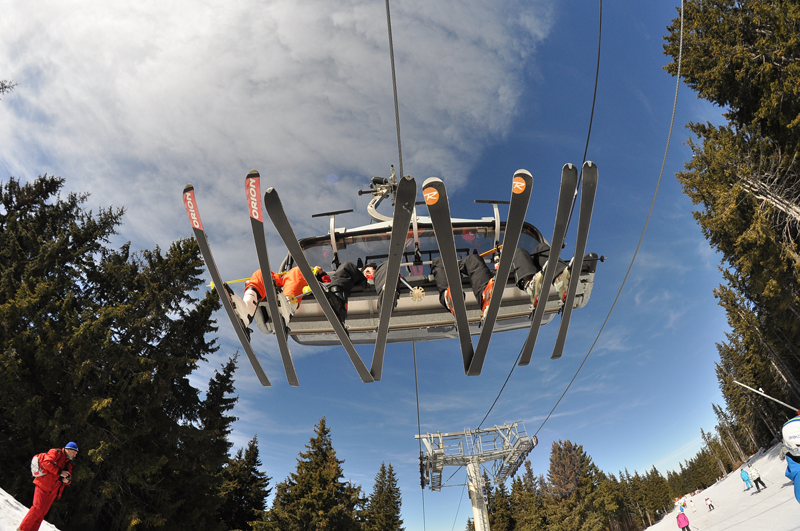 As with most of the popular ski resorts, a general lack of courtesy in the lift queues can be found. You will find that some eager skiers will push and barge their way to the front while you wait patiently for your turn. While a few sharp words can usually bring some of these 'bargers' into line, it’s best not to get too annoyed about it, you'll get to the lift eventually. One of the biggest, if not the biggest hazards on the slopes, is people skiing beyond their abilities. Why so many people feel brave and silly enough to tackle a black run after just a few days of lessons is beyond most people’s understanding, however occasionally some skiers may not have actually realised they were on a black run because they did not see the signs. Unfortunately though, far too many young skiers believe that once they’ve mastered the snow-plough turn they are ready for everything! Be aware of the signs around you and if you do see anyone struggling please let your instructor know. Both ski guides and ski instructors are plentiful in Bulgaria and it is always advisable to have them show you the best runs for your ability on the first day, and perhaps a few tips on style and technique from them could prove extremely helpful. Some skiers have commented in the past "I had a week of lessons last year; I don't need a ski instructor." This is not the wisest way of thinking and we will always advise you seek the guidance of an instructor first before heading off on your own. Finally, ensure you are fully prepared for the slopes before heading off for the day by always being properly dressed (jeans are not OK), wear layers, gloves, sunglasses and a hat. It’s also very important you do not forget the sun protection. In previous seasons, we have seen more casualties from sunburn and snow blindness than actual skiing accidents, and nearly all deaths in ski resorts are related to excessive alcohol consumption and not reckless skiing so please do take care when off the slopes as well. If you do happen to run into trouble while off the slopes, be sure to contact your Balkan Holidays representative immediately who will assist you as best they can. 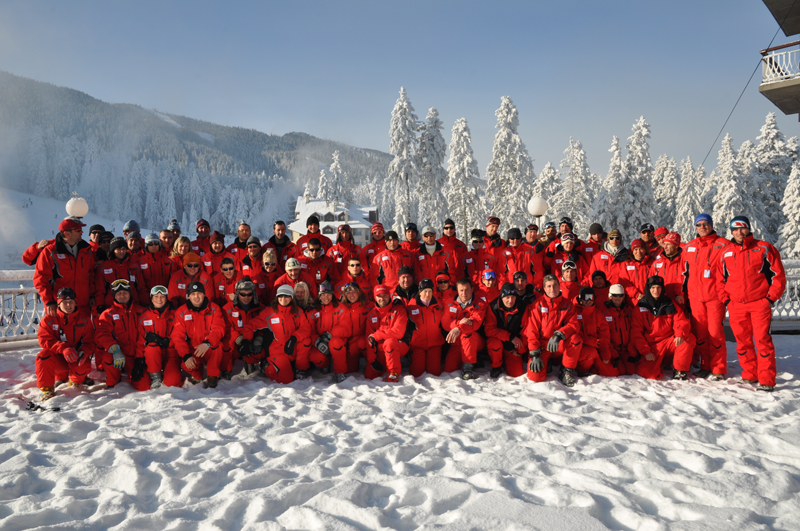 Here’s to a safe skiing season in Bulgaria and plenty of snow!